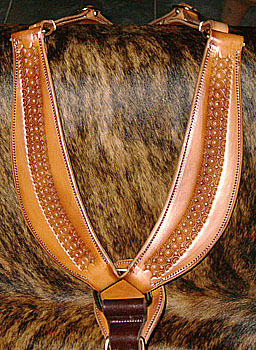 Roper HEAVY Duty breast collar with tie down dee. Shown in russet with brass hardware. Our Sharp breast collars are built to last! Made with USA skirting leather and lined. Choice of brass or stainless hardware in russet, chestnut, brown, or black leather. $150.